Get far from the madding crowd at major museums, such as the Louvre, with a more personal approach to seeing art. 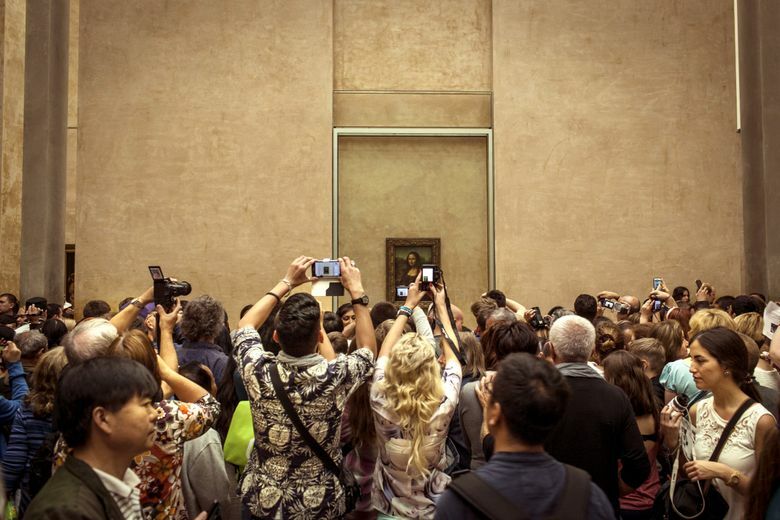 Upon entering any vast art museum — such as the Louvre in Paris — the typical traveler grabs a map and spends the next two hours darting from one masterpiece to the next, battling crowds, exhaustion and hunger (yet never failing to take selfies with boldface names like Mona Lisa). What if we spent time with the painting that draws us in instead of the painting we think we’re supposed to see? Yet that’s essentially how many people experience a museum. Psychologists such as Pawelski say that if you slow down — finding a piece of art that speaks to you and observing it for minutes rather than seconds — you are more likely to connect with the art, those with whom you’re touring the galleries, and maybe yourself. A number of museums also offer “slow art” tours or days that encourage visitors to take their time. Rather than check masterworks off a list as if on a scavenger hunt, said Sandra Jackson-Dumont, who oversees the education programs at the Metropolitan Museum of Art in New York, you can make a sprawling museum digestible and personal by seeking out only those works that dovetail with your interests, be it a love of music or of horses. To find relevant works or galleries, research the museum’s collection online. Or stop by the information desk when you arrive, tell a staff member about your fascination with, say, music, and ask for suggestions. If the person doesn’t know, ask if there’s someone else you can talk to, she advised, because major museums are rife with specialists. Jackson-Dumont, who has also worked at the Seattle Art Museum, the Studio Museum in Harlem and the Whitney Museum of American Art, said travelers should feel empowered to “curate” their own experience. Say, for example, you do not like hearing chatter when you look at art. Jackson-Dumont suggests making your own soundtrack at home and taking headphones to the museum. To that end, many museums are encouraging visitors to take selfies with the art and post them on social media. To some visitors that seems crass, distracting or antithetical to contemplation. But surprisingly, Jackson-Dumont has observed that when museum-goers strike an art-inspired pose, it not only creates camaraderie among onlookers but it also gives the selfie-takers a new appreciation for the art. In fact, taking on the pose of a sculpture, for example, is something the Met does with visitors who are blind or partially sighted, because “feeling the pose” can allow them to better understand the work. The next time you step into a vast treasure trove of art and history, allow yourself to be carried away by your interests and instincts. You never know where they might lead you.